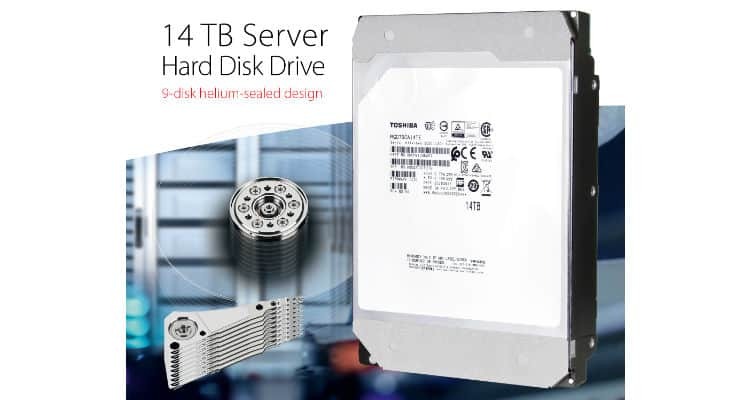 Toshiba Electronic Devices & Storage Corporation announced their new Enterprise Capacity 14TB and 12TB Helium-sealed SAS HDD models. The MG07SCA Series features 7,200 rpm performance, a SAS 12Gbit Interface, and Advanced Format Sector Technology. The hard disk drive boasts an industry-leading, 9-disk Helium-sealed design and 14TB of Conventional Magnetic Recording (CMR) capacity for optimum compatibility. Toshiba’s Helium-sealed design fits into industry standard 3.5-inch drive bays. A 12TB model is also included in the Series offering. TOSHIBA gives more capacity to SAS HDD models 0 out of 5 based on 0 ratings. 0 user reviews.